Fish aquarium is a good remedial measure for any Vastu defect. In a house, every object and direction has Vastu significance. Placing them or constructing them according to the Vastu pprinciples will make your life a serene one. Vastu, the Vedic science is a practical and result oriented concept, which is practiced to have a prosperous and harmonious life. It is believed that the problems in an individual’s life are due to the lack of proper Vastu. Various Vastu defects can be resolved effectively with faster results. Seeking the help of a Vastu consultant will relieve you away from all the ailments ranging from health to financial and others. As mentioned earlier, every object and space/direction in a house is associated with Vastu and where there is a defective Vastu, there tend to be problems. In such cases, Vastu specialists have suggested a few fortuity signs for a defective Vastu. According to Vastu specialists, having a fishaquarium in a dwelling is considered a good remedial measure for any Vastu defect. Not just a home but also for an office, shop, school, factory and other residing places can have an aquarium to eliminate the defective Vastu problems. 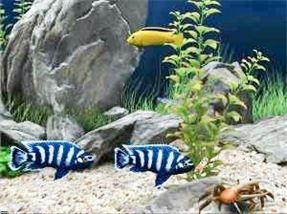 A fish aquarium tends to free your home from all the evils and maintains a serene, fortuity atmosphere. It is also believed that each time a fish dies naturally, so does your problem at home or office. This is one of the best ways to attract the energy of wealth at home or office. In addition, an aquarium tends to relax your mind and create a calm atmosphere. Fishes are also associated to Hindu mythology, as one of Lord Vishnu’s ‘avatars’ was a fish in the sea. Lord Vishnu was born on earth in nine ‘avatars’ and his first ‘avatar’ was that of a fish (‘Matsya Avatar’). It is believed that the fishes have a high degree to consume negative energy (because of Lord Vishnu’s avatar) and give a calming effect. One of the principles of humanity is that every human being is subjected to feed and protect animals. To sustain this principle, fishes are one of the best creatures to be nurtured/kept and taken care of. If you are witnessing problems in your home or office and predict that this is the result of a defective Vastu, placing a fish aquarium is the best option. Doing this will also resolve your financial crisis. 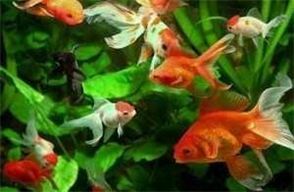 Vastu specialists believe that feeding a fish can add up to your good deeds as a result you will be free from evils at your home. 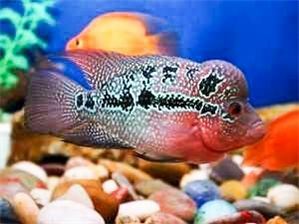 Attractive ornamental fishes, which are colorful, tend to attract everybody’s attention. These fishes are quite active almost the entire day and motivate the observer. In addition, if you observe these fishes for a while, you tend be energetic and will be free from all the worries. One of the major advantages of having an aquarium is to deviate the jinx of a visitor from the entire home to the aquarium. The bad energies, which are created all over the house, can be transformed by glancing at the colorful attractive fishes. This in turn produces positive energy. As per Vastu Shastra, a fish tank stores a lot of water and can balance the weight in an accurate way. In order to balance the weight, a fish tank can be kept in a veranda or a hall in the South-West corner after consulting a Vastu specialist. It should be placed in a prominent place where every visitor can see it. According to the Chinese Feng Shui method, the rapid movement of the fishes in a tank increases the active energy in a home which is known as “Chi”. This also results in the increase in good health and wealth. This Vastu principle of having a fish aquarium at your place is applicable for all the religions. One of the important factors of this principle is that the aquarium has to be placed in a perfect place after consulting a Vastu specialist. If the fishes die regularly, you should immediately change the position. 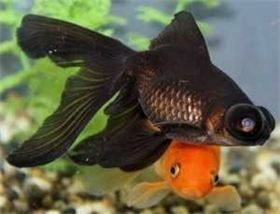 To imply this idea, you can prefer either a pond, fish bowl or an aquarium in the desired place. Cultivation of live ornamental fishes is advised. The dragon fish and the gold fishes are generally preferred. The number of fishes in an aquarium should be nine in which, eight can be either dragon fish or gold fish and one could be a black fish. You need not fret if a fish dies, immediately replace the fish with another one, as it is believed that your problems tend to reduce with the death of every fish. It is strictly advised that the fish feed should be planned and fed by only one person. The tank or the bowl should be cleaned regularly. Necessary requisites like filters, aeration and water circulation are required in order to maintain the tank. Except for your living/drawing room, an aquarium cannot be placed in any other room. Itcan be placed in North or East directions. Placing an aquarium in other rooms brings negative energies and disturbs the peace of mind. Placing an aquarium in the kitchen or bedroom can cause food and sleep related problems. Opting for a large fish tank is advisable as it can dilute the dirt easily. Fish tanks are available in glass and acrylic. To make it more attractive you can add colorful lights and other accessories to it. It is assumed that this article would help you to get rid of your ailments by placing an attractive aquarium at your home or office and see the results by yourself.